By CSUSM – News.CSUSM.edu – Photo Not Credited. 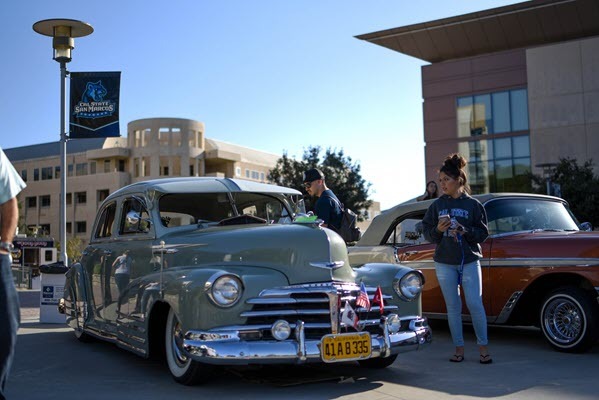 The Cal State San Marcos Latino Association of Faculty & Staff and University Police Department are co-hosting the second annual Lowrider Experience at 3 p.m. on Saturday, Sept. 22 on campus. The event will showcase lowriders as an art form and will include live music, free raffle giveaways, a beer garden and children’s activities.